I never want to eat food from a folding plastic spoon again – at least not until next year. This past MLK weekend was a whirlwind of sweets, condiments, pickles, oils, meats, cheeses, spirits, beer and everything in-between. San Francisco has kindly and conveniently combined two of the greatest what’s-new-and-great-in-artisan-food events – the Good Food Awards and the Winter Fancy Food Show – into one convenient weekend. The list that follows includes some of my favorite new packaged products that I tasted from the weekend. The Good Food Awards strives to honor, support and promote small-batch artisan food makers from around the country. 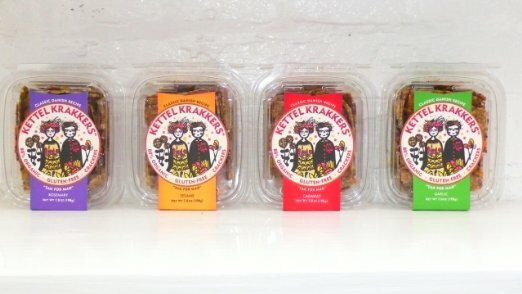 Competitors go head-to-head against similar products from similar regions. For example, Southern pickles are tasted against other Southern pickles. Eastern cider is tasted against other Eastern cider. And so on. I’ve been involved with this event since its beginning, and this year I had the pleasure of both judging for the Pickles category and attending the awards. I think it was the best year ever. Carlo Petrini of Slow Food spoke and reminded everyone why we love making food all over again. The Fancy Food Show isn’t quite as small batch or artisan, but there are always a few gems to be unearthed. 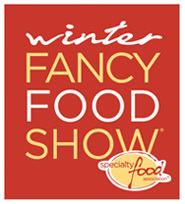 While not everything is based on local, seasonal, or organic ingredients, many of the products at this West Coast industry trade show of the Specialty Food Association are. And, best of all, this is one of the finest ways in the industry to gauge trends in flavors, textures, packaging, food categories, etc. from all over the globe. Think of it as fortune telling for food nerds looking to track trends in the business. With really generous samples. Every experienced pickler knows how difficult it can be to master a fresh tomato pickle. They can quickly and easily lose their texture or just start to taste old before the brine has a chance to flavor them. Not only is the flavor of these spot-on – balanced sweetness with juniper, garlic, and fresh rosemary – but the texture of the tomatoes is perfect. They burst in your mouth as you eat them. 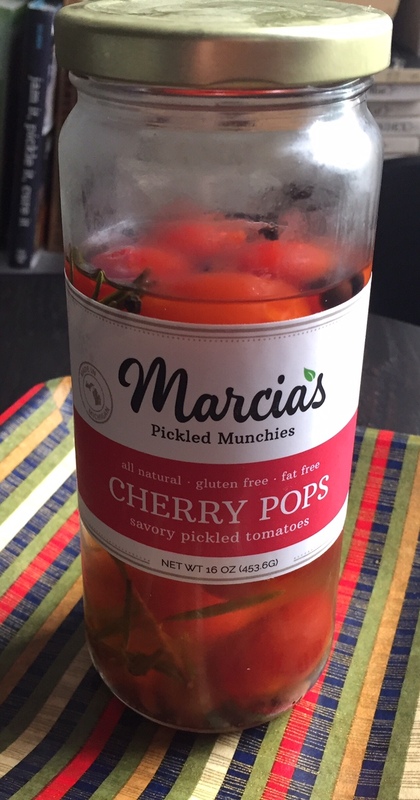 Of all of the hundreds of pickles that I’d tasted as a judge for the Good Food Awards, these stood out in my memory as one of my favorites. Note that there is a serious dent in the contents of the jar. The cream used to make this sauce was hand-spun by angels. Or something. Or some very, very talented cows. Kristine Insolaco, owner and chief confectioner, mentioned that they buy their cream and dairy from a local dairy farmer in Sarasota, Florida. 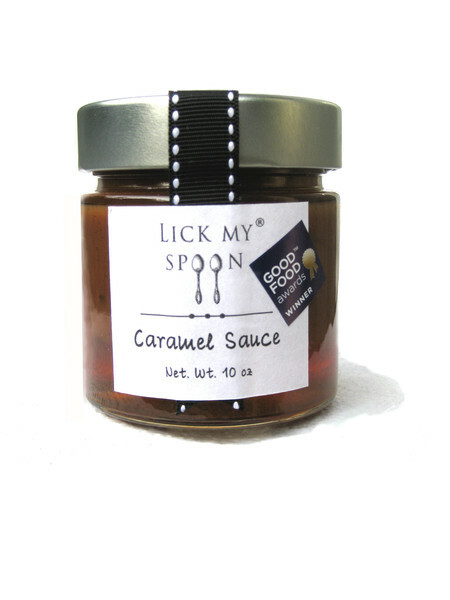 The result is the silkiest, freshest tasting, most intense caramel sauce I’ve ever had. Straight outta NYC, Hansen Shieh, the self-appointed Sauce Boss of the enterprise, brings you the bottled condiments that every single Asian food-loving American should have on hand for stir-fries, dipping, and more. While the nutty Earthy Spicy Tingly and the savory Spicy Tangy Funky are serious contenders, they are the pigtailed cousins of the brunette bombshell, Sweet Savory Spicy. When savory black bean sauce, citrusy pineapple, big jalapeno, and fragrant toasted sesame seeds got together, you’d want this party to be in your mouth. A little goes a long way; this flavor comes on like a Bollywood stampede. 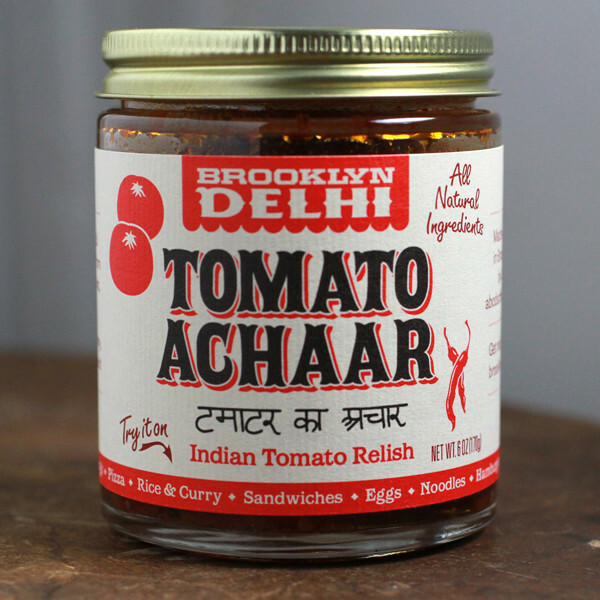 The excellent New York tomatoes are balanced by a hefty hook of rich Indian spices. Don’t let all of those K’s and all of the health scare you off. These seed bombs – pumpkin seeds, sunflower, sesame, flax, etc. – are crisped into a cracker with high-quality Sonoma EVOO. The crunch and texture are damn near perfect. They’re gluten-free, if you care. I’m far more concerned with the fact that they’re delicious. Can cheese make you cry? This is the real deal. 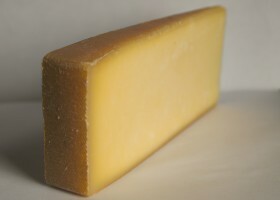 Farmstead – meaning that the cheese is made from the milk harvested on premises. Grass-fed. Raw milk. Complex. Artisan. The shizzle-mcdizzle.